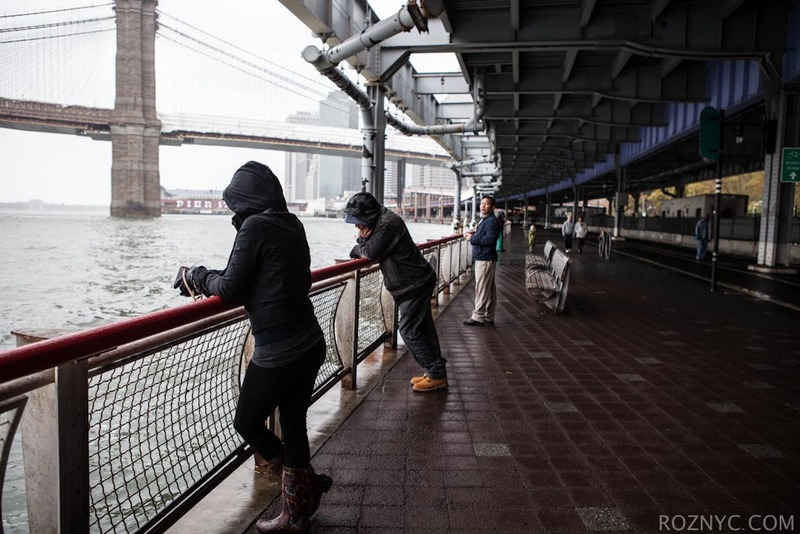 10.29.2012 – #Sandy #frankenstorm #nyc – Went for a walk around noon. Down the East River to Battery Park. People were out and about, some were even fishing. All of the Duane Reade stores we passed were open. Lots of buildings put sandbags out. Train stations boarded up. It’s actually kind of nice to see the streets so empty in Downtown Manhattan on a Monday afternoon. NYC birds and squirrels don’t seem phased yet.